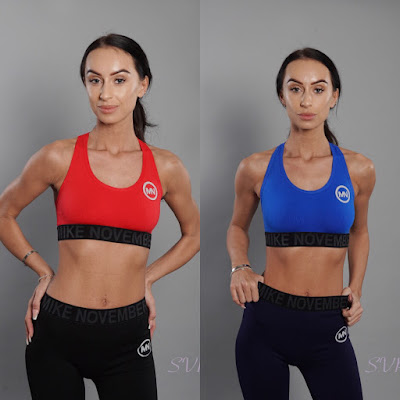 Mike November was first formed two years ago, with the founders' aim to create a premium but affordable sportswear brand; starting with a range for women. The founders have undertaken comprehensive research and stringent testing in order to develop the range into what it is today. Poor mental health has a profound effect and impacts on so many people, both directly and indirectly. Mental health is such a current topic and thankfully, is a condition that is now being recognised and acknowledged. Statistically, around 1 in 4 members of the emergency services suffer with mental health at some point throughout their career. The Police National Computer (PNC) emits the warning Mike November - phonetic for MN - when an individual is suffering with mental health. This warning phrase is heard regularly across the emergency services as a growing number of people struggle to cope. The founders of Mike November are all associated with the emergency services and were influenced to make a change due to the prevalence of mental health within the emergency services and the communities that they serve. For this reason, the brand is aligned with a mental health charity that supports the emergency services day in day out - as well as many others across a variety of professions. The founders hope that, in time, the Mike November brand can raise awareness as well as promoting a healthy mindset through exercise and well-being. What makes Mike November different? It's sadly not a rarity that clothing is made cheaply and as a result, the quality of the garments suffer. In particular, gym leggings are so hit and miss in relation to quality. They either don't stay up or are completely see through which is definitely not a good look. The founders of Mike November were conscious of these issues and did not want their brand to suffer the same pitfalls. They were adamant that there could be no compromising when it came down to the quality of the brand's pieces. The range includes a pair of winter leggings, the seamless Pro Performance Leggings, which provide excellent compression support and greater opacity. They are therefore the perfect option for women who train regularly as they will stretch appropriately during squats and other similar exercises, without the fabric suffering and becoming transparent. In addition, the circular knit top is heavier than that of its competitors per square metre of fabric meaning it is thicker and of high quality. All garments have been made to provide greater heat retention through the winter when worn outdoors and therefore are able to offer an added benefit; the reduction in risk of muscular injuries when training. The range is available in classic black, grey and navy; offering a range of mix and match pieces to women wanting to look fashionable whilst wearing the brand. Mike November are proud to have selected some 'power women' to model the range, including a firearms officer, prison officer and ex British Virgin Islands police officer (now specialist social worker). The founders hope that the range can be worn by all women proudly knowing that a percentage goes to a fabulous charity. I can't wait for the launch and to see this company go from success to success!